Unlike last year when the Best Picture nomination for Extremely Loud and Incredibly Close made me fire off a round of expletives, I’m not questioning any of this year’s nominees. Okay, maybe Les Miserables. (No, I still haven’t seen it. Yes, it’s still making me irrationally angry.) But I’m so pumped about the four nominations for Beasts of the Southern Wild, I’ll continue to ignore Les Mis. Unfortunately, John Hawkes wasn’t nominated for The Sessions. For me, this is the most disappointing “snub”. I’m changing my name to Quvenzhané Arcieri. Maybe then I’ll forgive myself for achieving nothing by the age of 9. Poor Leonardo DiCaprio. He tried so hard in Django Unchained and still didn’t get nominated. I hope Leo wins an Oscar soon because watching him try so hard for one has gotten exhausting. I love Jacki Weaver. I hope I look as good as Helen Hunt when I’m 49. I forgot Amy Adams was in The Master. I want Sally Field to win while Anne Hathaway over-enthusiatically applauds. This category rocks. A million times yes for Moonrise Kingdom. Story time. For most of Lincoln, I was resting with my eyes closed. (It was not a nap.) The thing about resting with your eyes closed is that you pay more attention to the screenplay and the screenplay for Lincoln is phenomenal. It’s my favorite part of the movie and other than Sally Field’s performance, nothing else interested me about Lincoln. Also, if Beasts of the Southern Wild wins one Oscar, (which it probably won’t but I can dream) it would be in this category. Here is the complete list of Oscar nominees. 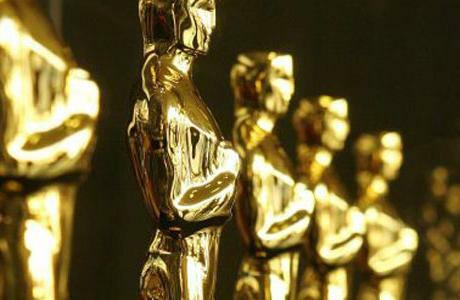 What is your take on this year’s Oscar nominations? Satisfied? Angry? Let me know in the comments.